Private & picturesque, this custom built home could be your mountain retreat while only a short drive to shops & restaurants. 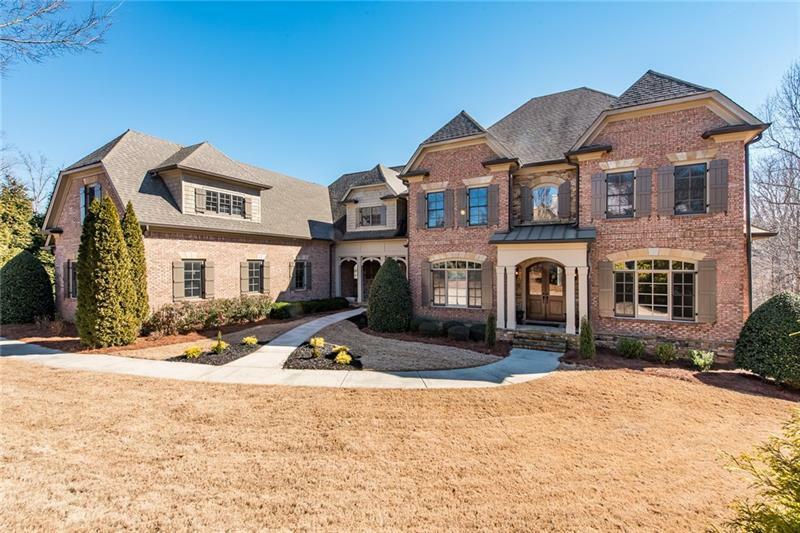 Entertainer's dream floorplan showcasing expansive Kitchen w/ high end appliances, vaulted, fireside Keeping Rm w/ exposed beams, Family Rm w/ coffered ceiling & limestone fp. Custom finished Terrace Lvl. The square footage, flow & function of this home rivals new construction! Tons of natural light hitting all the amazing & generously sized indoor/outdoor living spaces. You'll feel the warmth from any spot on the property. Laundry Rms up&down. Sold by Georgia Platinum Realtors, Llc..